New Jurassic model from Hinderer Knives! 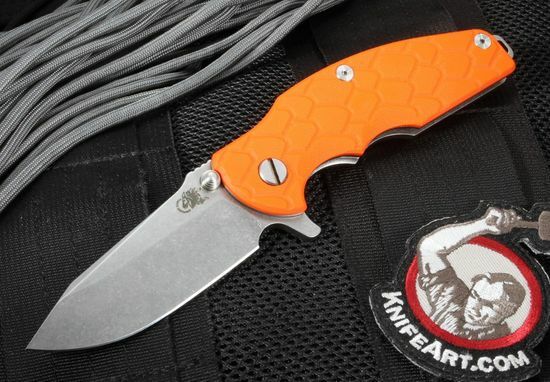 Compact and stout, this American-made folding knife is built with a purpose. The Jurassic has a unique machine textured pattern on the handle. The knife opens and closes with ease, making it an excellent choice for an EDC knife. The Jurassic 3.25" flipper folding knife has an American made CPM S35VN steel blade with a fine stone wash finish. The blade has razor sharp flat grinds. Dual thumb studs as well as a flipper for easy right or left-hand operation. Flipper serves as an index finger guard in the open position. Jimping on the thumb rest of the blade spine for positive forward grip. The handle is designed with nothing overlooked. Top quality materials such as aerospace grade titanium and textured orange G-10. Solid frame lock design with a Rick Hinderer designed lock bar stabilizer to prevent over extension of the lock. 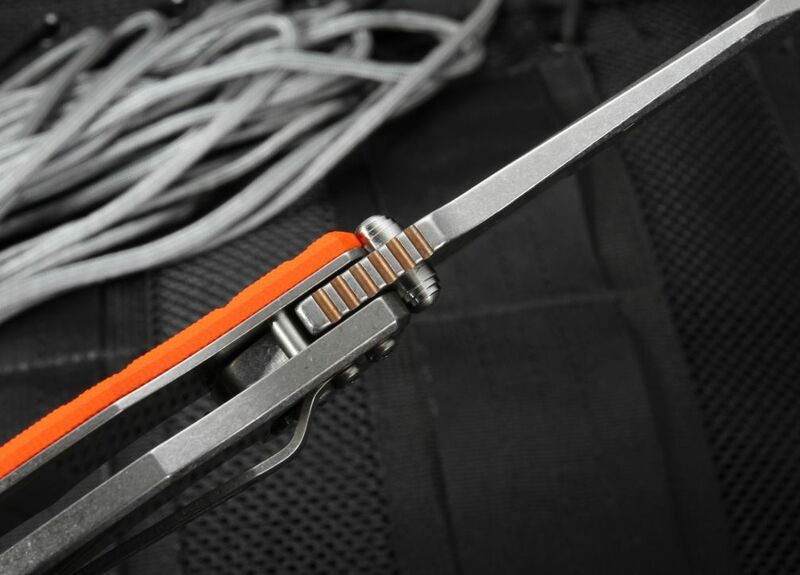 Titanium spacer pins as well as a titanium spacer that features an extended lanyard bale. Contours of the handle combined with the scale pattern texturing on the orange G-10 ensure this folder fits and holds tight in your hand. 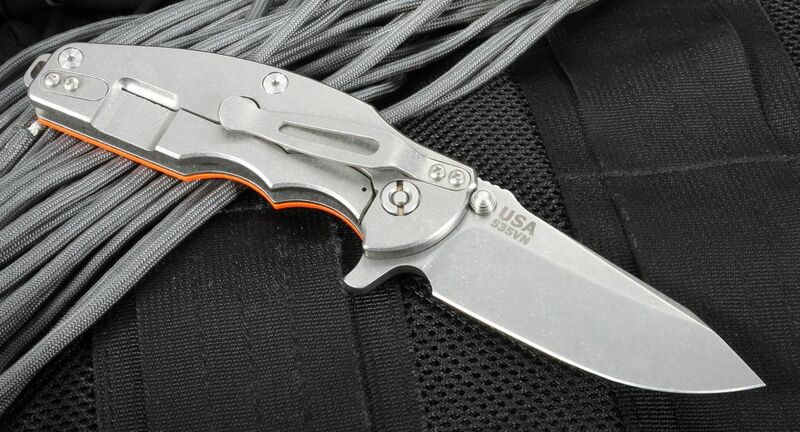 Titanium pocket clip can be mounted for blade tip up or down carry. KnifeArt.com is excited to offer the Hinderer Knives Jurassic tactical folder. Perfect Every Day Carry! Made in the U.S.A.